Not everyone owns an iPhone, it just seems that way because they get all the coverage. 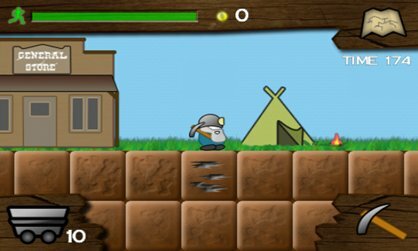 If you own an Android phone, you may have struggled to find the best games – many look like 30-minute creations by junior high students with newfound fascinations for Java. But not all of them - we did some digging, and found plenty of fast-paced and well-designed Android games that are being overlooked. The following 25 have caused us a few sleepless nights and some very sore fingertips. Note: We avoided emulators or games that are not available in the Android Market, such as Doom. We also picked games that are Android-specific over those that run on multiple devices, only because they usually take advantage of Android hardware in a unique way and run faster. We also considered the price of the game, number of levels, and re-play value. Buka’s frenetic pace makes it very entertaining. You play as a blue planet which you move around the screen (either with a finger press or by tilting the phone) to avoid solar nasties. Eventually, you can collect health and zap purple and yellow enemies by holding down your finger. Zapping larger orbs breaks them apart, which means a higher score, but the pieces move faster. Buka has flashy, colorful visuals that get better as you progress. You might actually form a connection with the blue planet as it tries to find its home, which makes Buka a great example of something once thought impossible: a mobile game with character. What the Doodle? won the recent Android developer contest. It’s like Pictionary, except with strangers… on your phone. There’s an auto match feature that sets you up with five other players online. You either guess the object another player is drawing or, when it’s your turn, draw the object. It’s a game especially well-suited for touch phones, and it works very well. In Graviturn, you move your phone from side to side to push a red ball off the screen. This sounds easy, but after a few levels you also have to make sure that the green balls stay on the screen, and increasingly numerous blue boxes get in your way. You also have the option (or hindrance?) of adding or removing walls in later levels by clicking on them, adding to the mayhem. Levels are generated randomly (and infinitely) so this free game has great re-playability. Like Doodle Jump on the iPhone, Abduction! is a vertical scrolling game that’s fast-paced and challenging. You play as a cow that jumps on grassy platforms to collect power-ups, such as one that catapults you higher off the pads. There are also “crumble” pads you can only use once before they break apart. The graphics are clear and bright, and the screen refresh is fast. Abduction! is twitchy in a good way. Nintaii has a similar look and feel to Zen Bound on the iPhone. 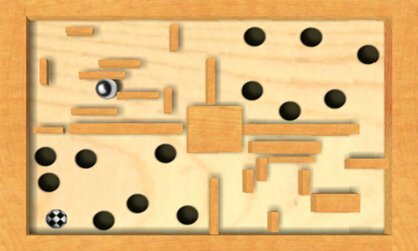 You move a wooden block around a game board to reach a black square. As you progress, obstacles, like raised platforms, increase the game’s challenge. The sound effects are above par (especially the loud clack of the wooden block and the Eastern chants) and the game includes 100 varied levels. A brilliant game with cartoon-like graphics, Slimeball Speedway is another vertical scroller in which you control a ball rolling down the screen. 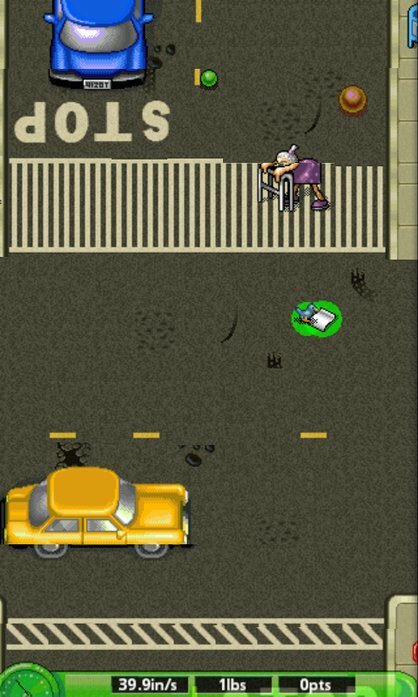 The action is fast and you have to plan your moves carefully (watch for the little old ladies crossing the street). The blob grows and gets faster as you go, so each level becomes more challenging the longer you stay alive. There’s a fire, and you've been charged with the rescue attempt. Go!Go! 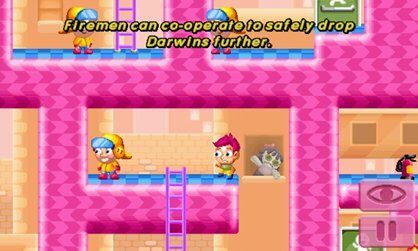 Rescue Squad is a platformer in which you must squelch fires to help victims escape by finding a door. Usually, there’s some other obstruction (like a fallen tower) that blocks their path. You use a fire extinguisher to get the fire under control, and occasionally chuck the whole extinguisher. The colorful graphics are N64-esque and the game has a cheeky, nihilist sense of humor. Totemo is a puzzle game that encourages quick reflexes and good planning. 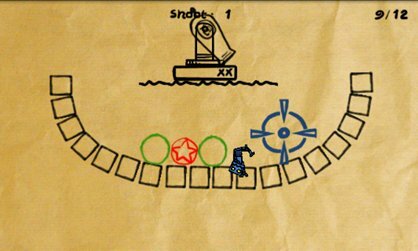 Each level has blue orbs that you have to select in a logical sequence – say, in pairs or groups of three. There are stars that block the path; when you click on them, they light up the totem pole and pause the action to make the level more challenging. Later levels are much more complex with more orbs and less-obvious patterns. 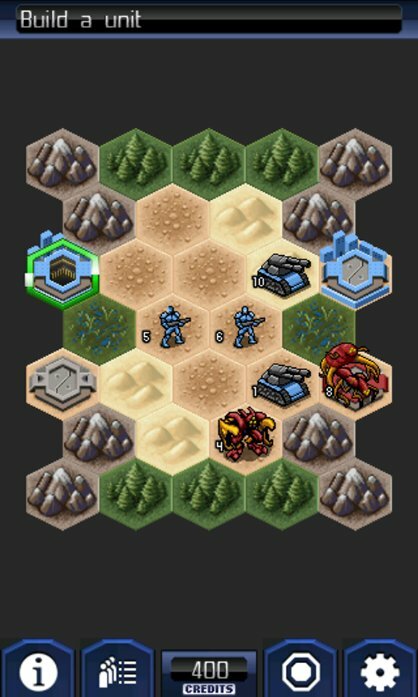 With roots in a hexagonal wargame, UniWar is easy to learn and, thankfully, emphasizes fast action over tedious strategy. It’s turn based, but there’s not the typical long pause as the computer plans a strategy and attacks. The main campaign has 20 missions, but you can play 3v3 or 4v4 online on about 50 highly detailed and varied maps. 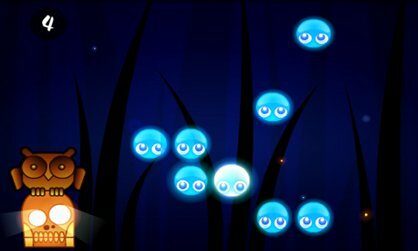 LightUp is brain-teaser similar to Totemo where, instead of selecting orbs, you drag your finger along blue squares to light them up. 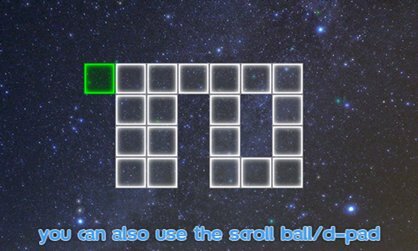 You have to light the squares up sequentially, and the later levels are very challenging, with screen-filling grids and only a few possible solutions. You might have played with tangrams when you were a kid (or last week) – they’re simple, but surprisingly difficult puzzles which require you to create a large shape out of smaller shapes without overlapping them. Tangram Lite is a nice rendition of the popular puzzle. You can turn the shapes easily and they lock into place without a lot of trial and error. 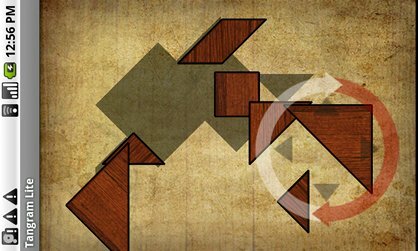 As you progress, the shapes - and the puzzles - get more intricate. The pro version includes 300 puzzles. 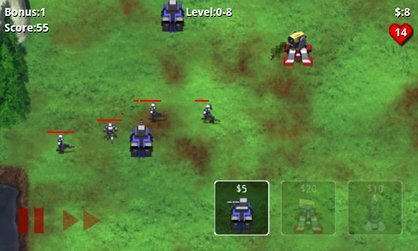 Robo Defense is the best tower defense game for Android, with sharp graphics and great sci-fi sound effects that aid in strategizing. For example, you might place a few towers that make an obvious "pop" so that you can then focus on other guns, such as a powerful laser, in a different section. The game has 120 levels and each one is complex enough to last about 15 minutes. Almost exactly like the table-top game Boggle without the annoying relatives who know way too many words, Word Up! is a timed game where you draw with your finger on letters to make words. (Press C, drag to A, drag to T, release to spell “cat”). When you select a row of letters, the game drops the word below the main screen to let you know you selected a real word. It keeps track of the time and your score, and shows you the words you missed at the end. In Shoot U!, you catapult stick-figure guys out of a cannon. The goal is to hit a star to advance to the next level. 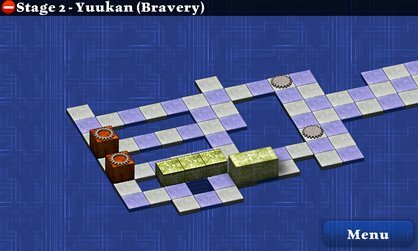 The game requires some advanced strategy and challenging physics, because you have to plan which game pieces, including pillars and walls, will get in the way. You have to conserve guys to earn the most points, but a little rapid fire is also fun. GeoQuiz is not one of those "brain challenge" games that are supposed to improve your mental capacity. It's a trivia game that plays almost like the Millionaire game on TV without the lifelines. 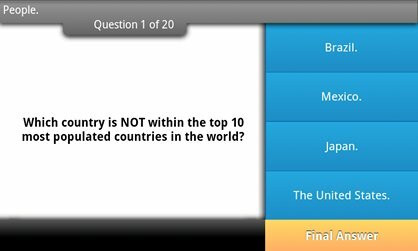 GeoQuiz has a slick and well-designed interface, so it's easy to read the questions and choose an answer. The game has a geographical slant, so many of the questions are related to flags, countries, and capital cities. Based loosely on Dig Dug, but more puzzle-like, Gem Miner has you searching for minerals in a mine. The challenge is in planning out how far you want to go from your base, avoiding the falling rocks, and collecting enough gold and ore for upgrades - such as a ladder (one would imagine a ladder would be very handy when mining). Labyrinth is based on the classic table-top game which you play by moving a metal ball through a maze, avoiding holes. On Android, the game plays exceptionally well because of the sensitive tilt control of phones like the Nexus One. The Lite version has ten levels and the company is promising a full version later this year. The 3D-rendered graphics look remarkably realistic, and Labyrinth is a great challenge. 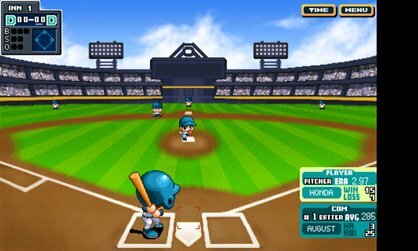 A few Android baseball games, including Homerun Baseball 3D, play okay and have flashy graphics, but Baseball Superstars has more depth. You can choose up to ten different teams, play in season or league mode, and compete in a homerun derby. Player control is easy: there's an on-screen joystick and buttons you press on the screen to swing the bat, hit the ball, and advance to the bases. 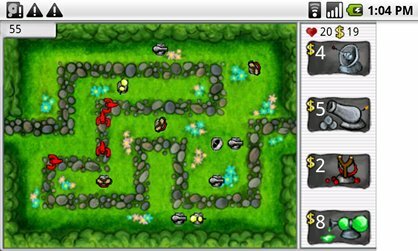 Plox is another tower defense game, but this time with small blob-shooting towers you use to block animals walking on a garden wall. 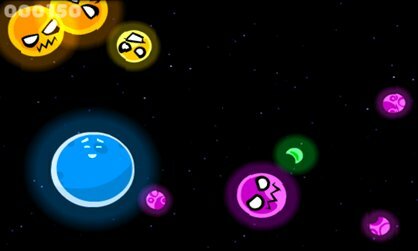 Plox has clear and colorful graphics and good squishing-blob sound effects. Since enemies follow a pre-set path on the wall, you can plan your strategy easily. Each of the four available guns are upgradeable, adding a bit more strategic depth. There are a handful of traffic control games for Android, but Flight Director has great satellite background graphics. As planes come in to the airport, you drag with a finger to direct them to an airstrip or helipad. Some of the planes move faster than others and are big enough to get in the way of smaller craft. The simple play mechanics of Zen Table Tennis make it great: you just move your finger to hit the ping pong ball. On a Google Nexus One phone, which is a fast 1GHz model, the gameplay is fast and smooth. (You can also move the paddle with the trackball.) Play goes to 11 points and, like the real game, you need a two-point advantage to win, which means some hectic back-and-forth action. This classic colony-building game is pretty true to the original - you build up a base by first erecting a fishing hub, then upgrade your base and search for resources. 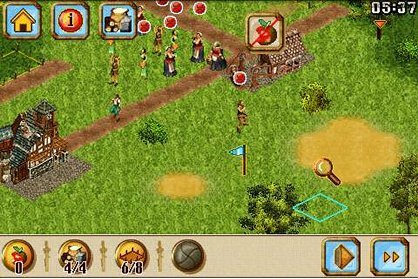 The Android version has three environments (forest, snow, and tropics), and the detailed "old world" graphics are crisp and clear. FRG plays a bit like one of our top iPhone games (Alive 4-Ever). You control a robot that is being attacked by bugs, and are constantly moving and shooting. The smoke effects are top-notch and the sound effects draw you into the action. You can choose from three weapons and two robots in the Lite version, but FRG Deluxe (for $2.99) adds twelve new levels and two extra robots. 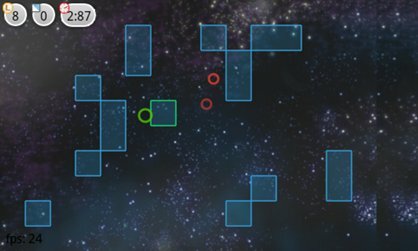 EA Mobile has made a faithful rendition of the original Tetris game. The graphics are crisp and colorful, and EA has added a few helpful aids - such as a shadowed version of the brick that appears at the top of the screen. This Bejeweled knock-off is free for Android phones and has some interesting twists on the classic "click jewels in a row to remove them" gameplay. There are two campaigns, 33 levels, and a random, low-pressure "freestyle" mode.